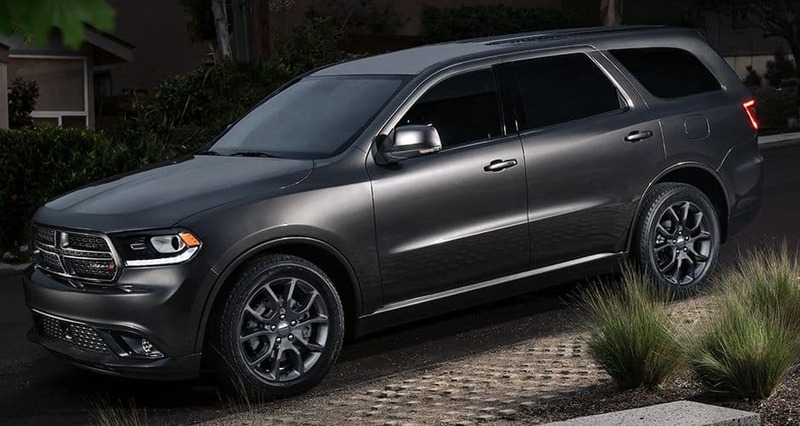 Meet the 2016 Dodge Durango, a fashionable and powerful SUV. The Durango is like the Dodge Charger sedan, and is nearly the SUV version of it. This vehicle is easy to customize with many available groups and packages, and is known for the space is provides in its third row. There are some updates for 2016: Sport mode is available for 2016 Durango models. If your Durango has a 3.6-liter V-6 engine, then it will have stop-start technology for good fuel efficiency. 2016 brings four new paint colors: Light Brownstone, Ivory Pearl Tri-coat, Luxury Brown and Red Pearl. The Citadel model sports a monochromatic exterior appearance, and offers an Platinum Appearance Package. 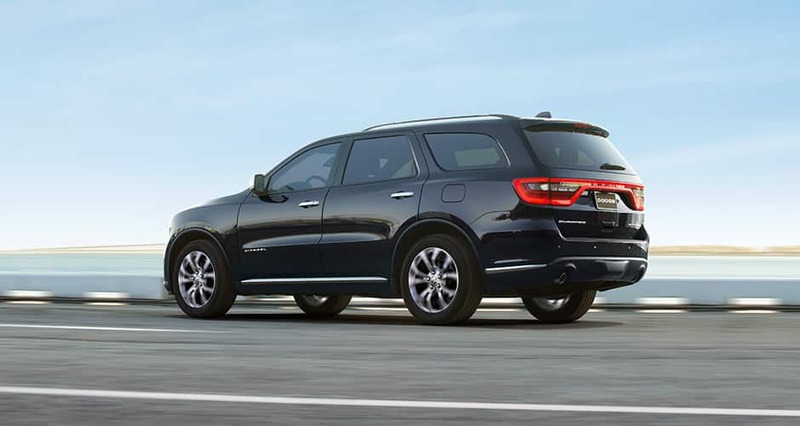 Keep reading to learn more about the excellent 2016 Dodge Durango! Given you have the 3.6-liter V-6 engine, you'll get a maximum of 295 horsepower. You might be able to haul up to 6,200 pounds worth of stuff behind the SUV. If you have the available V-8 engine, you'll be able to haul up to 7,400 pounds worth of stuff. An available Trailer Tow Group includes a Class IV hitch, heavy-duty engine cooling and load-leveling suspension to make it easier to haul things behind you. A single tank of fuel may transport you six hundred miles. You might have cruise control on the SUV to make getting to your destination while on straight roads easy. The mentioned Sport mode changes the shift pattern and pedal calibration to cause the vehicle to perform at its best when you are on-road driving. All 2016 Durango models offer all-wheel drive. You can have available second-row captain's chairs, and there is Uconnect Access available with an 8.4-inch touchscreen. You may have a Brass Monkey Appearance Package (making its first appearance later this 2016 model year) with the Limited model. This Package offers wheel flares and 20-inch Brass Monkey (Burnished Bronze) wheels. The Citadel model, a vehicle to think about if you are searching for luxury, has a 20-inch fully polished wheel, or you could have 20-inch Satin Carbon wheels with grille surround, exterior badging and fog lamp bezels with its Platinum Appearance Package. The vehicle's R/T model rolls to a driver's destination with a 20-inch Granite Crystal wheel (late availability). Does the vehicle come with an engine immobilizer? Yes, it comes with an engine immobilizer! How many speakers are in the SUV? Six speakers are in the SUV. Yes, we do! Click for our blog! 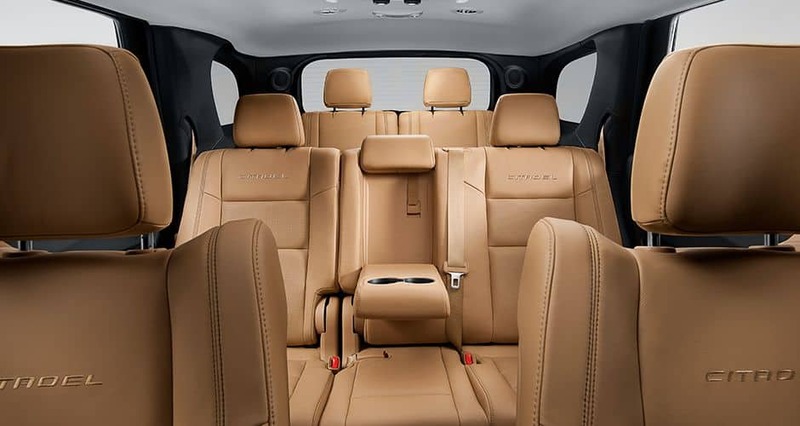 The 2016 Dodge Durango makes available safety features (over 60) for occupants. You will have active head restraints for a chance of injury reduction in an accident. There will be side-curtain airbags and front-seat mounted thorax airbags and to help protect people. However, you will have seven airbags total. Tire pressure monitoring alerts you if you should put air into your tires. Rear Cross Path (RCP) detection alerts you if there is anything behind you that you may want to avoid running into if you are backing into or leaving parking spots or driveways. Whether you are planning on using the SUV off or on the road more, there will be electronic stability control (ESC) and all-speed traction control to help you handle difficult driving situations. The SUV comes with brake drying. Come see and try out the 2016 Durango today and learn more about how the SUV could be for you!